Apple has started to transition to digital distribution of software titles through the Mac App Store. In many cases, physical media and disks can no longer be purchased for Apple software (e.g. OS X Mountain Lion). Mac computers running Mac OS X v10.7 or later have the Mac App Store integrated into the device. Visit the Apple Store for Education Institution. Under Purchasing for your school, university or institution? (next to the blue Search button), select Click here to find your school. Under Company/Institution, enter University of Victoria. Select British Columbia as the Province Name and click Search. Select Browse as Guest under What do you want to do? next to UNIVERSITY OF VICTORIA. Select the appropriate category under Software. Add items to your cart with appropriate quantities (check Apple Volume Licensing as well as Apple Software if you are purchasing a few licenses) then use the Create Saved Cart option on the Your Cart page. This option will email you a PDF file with the items and corresponding prices. Attach this PDF to your WebReq submission. Create a WebReq and select Apple Canada Inc. as the vendor. Please note the Apple Proposal Number from the saved cart in the comment section. Attach a copy of the End User Agreement. It is recommended that each department identify a contact for all Apple software orders. This person will receive software license agreements, renewal notices, and media. Multiple FAST codes can be used to purchase software or IPad packs online. Submit the WebReq to the necessary account holders for approval and then submit to Purchasing. After the purchase has been processed by Apple, the licence administrator will receive an email containing the redemption codes. 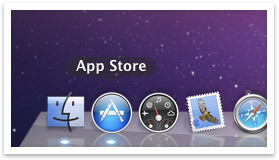 Access the Mac App Store using your "business" Apple ID. In the Quick Links section (located on the right side of the store), select Redeem. Enter the redemption code you received in the previous step. You may now download the software. In order to purchase Apple software, University Systems strongly recommends the use of a "business" Apple ID that is associated with a departmental email address. This will allow the Apple ID and the software purchases that it contains to transition to a new staff member if required.